Every time I use these feather dies I am struck by the detail in them! 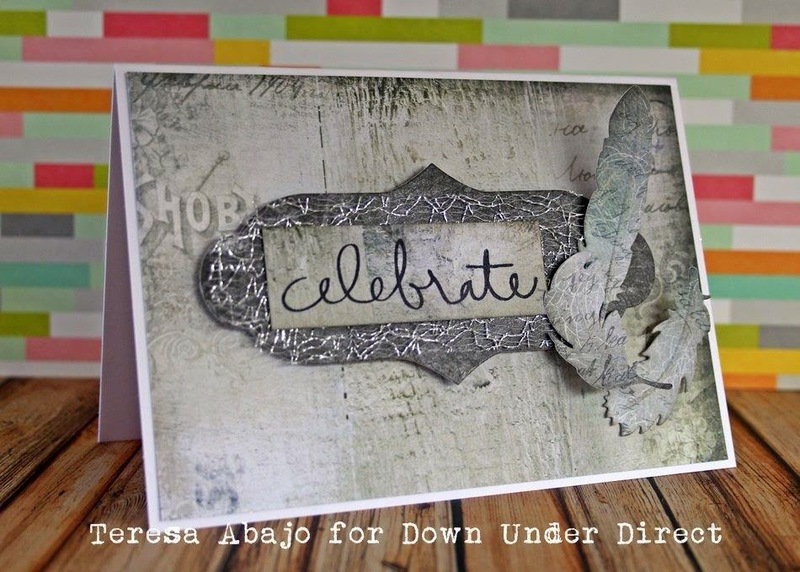 Embossing after cutting has become a must. 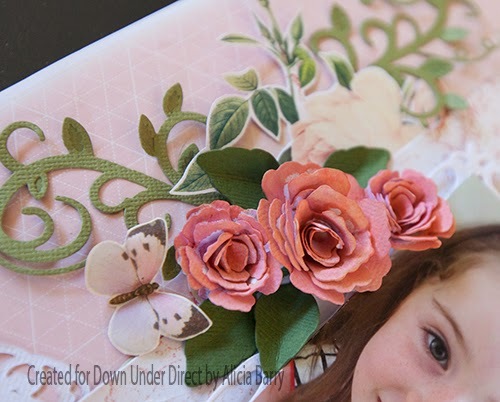 With spring just around the corner, here is a lovely floral layout, the perfect theme to mark the coming of warmer weather. 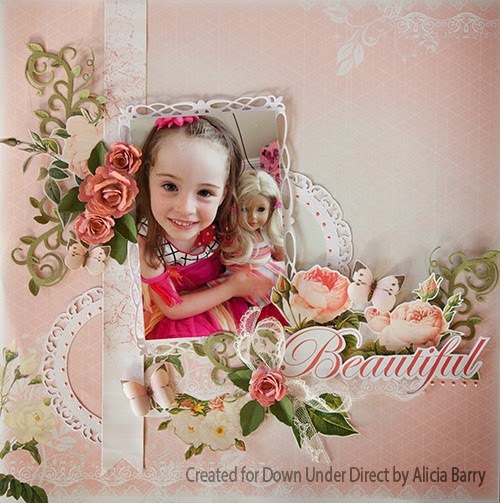 Another fabulous layout from Alicia. I wanted to thank a friend for all the encouragement she has given me over the past couple of years. A card just didn't seem enough, so I applied the idea to a little canvas instead. This canvas can either be hung on a wall or sat on a shelf. I wanted to include a little home made something in my daughter's lolly bags for her party and came up with these. They're little books, and probably not much good for writing stories in, but perfect for a couple of phone numbers and small enough to fit in a handbag too. 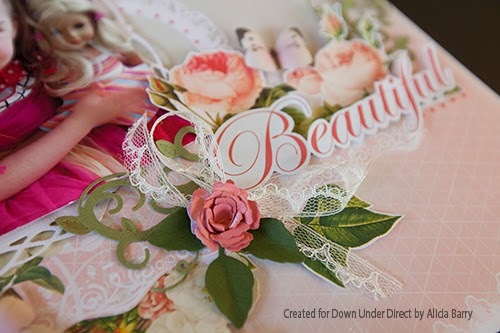 Spellbinders dies can be used to create stencils that can be used to mask areas off when working with Jac Paper and glitter. 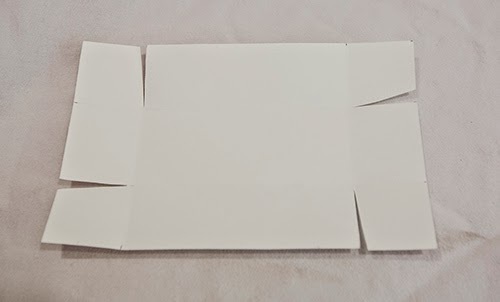 Cut a piece of Jac paper to the correct size and adhere it to a piece of cardstock. Cut out the centre of the backing paper with a Curved Matting Basics B die. 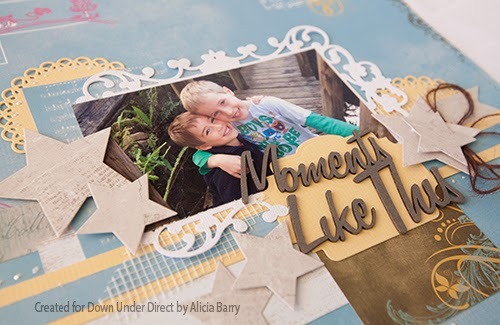 Replace the Curved Matting Basics shape in the centre of the exposed Jac paper, and sprinkle yellow glitter onto the edge. Burnish the glitter well to ensure adhesion between each step - this will ensure there are no sticky bits left where subsequent glitter colours will stick. Remove the Curved Matting Basics shape and cut a couple of Sprig shapes from it. 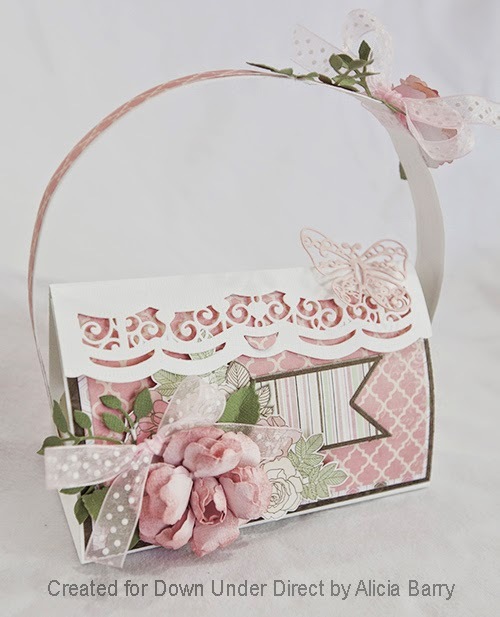 Apply these to the exposed centre of the card front, and sprinkle pink glitter onto the Jac paper. Burnish well. Remove the sprig shapes and apply blue/green glitter. Use this to complete a card. 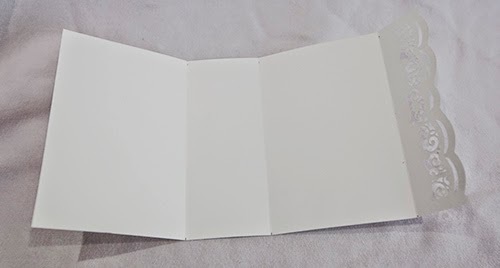 Cut a strip of cardstock to 6x12 inches. 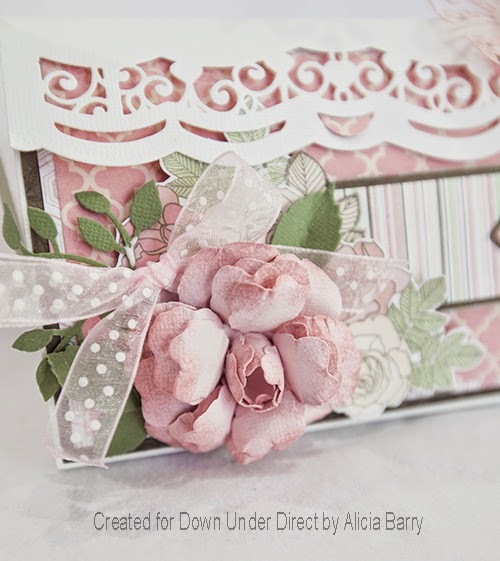 Arrange two border dies together at one end, and tape in place before die cutting. From the opposite end mark intervals at 10, 6 and 10cm, then score and fold. 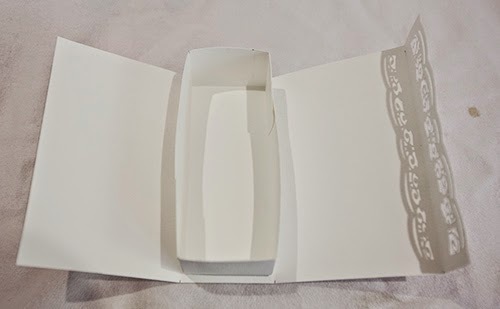 Create a box from the remaining strip of cardstock trimmed to 14.5x23cm. Mark and score lines at 4.5cm, then 14cm, then another 4.5 across the long end, and 4.5, 5.5 and 4.5cm along the adjacent side. Cut notches in the corners as shown, then glue to he tabs to the inside of the box. Adhere inside the bag. 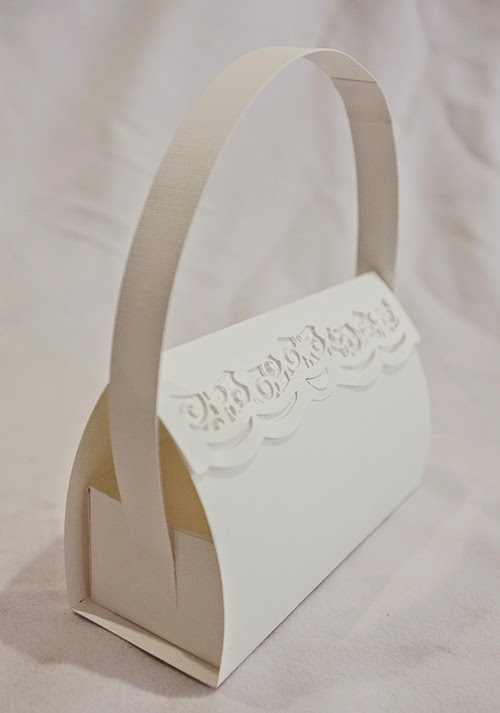 Cut narrow strips and join together for the handle. Adhere the ends to the sides of the box. 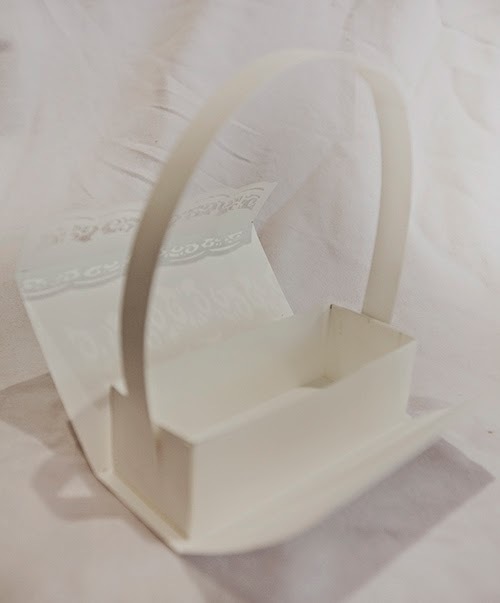 Hold bag closed and mark a spot for the notch to hold it closed, using the die cut pattern as the hook.Open bag and cut the notch. 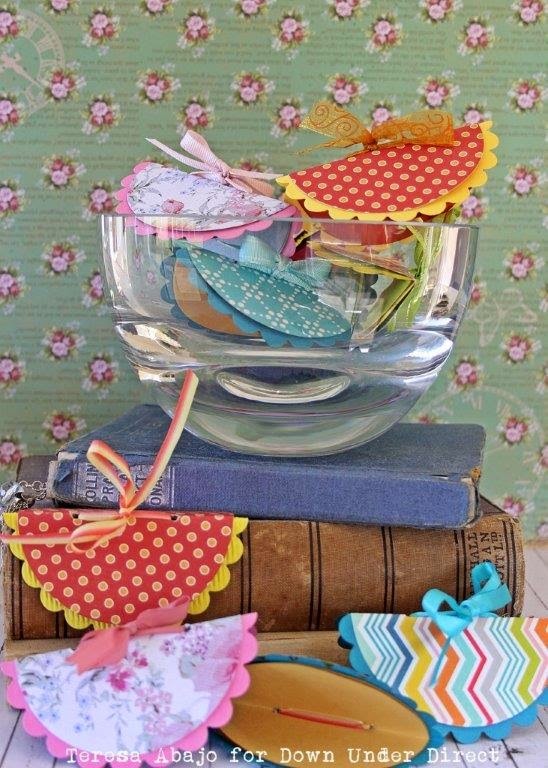 (note you may like to wait until you have added patterned paper. 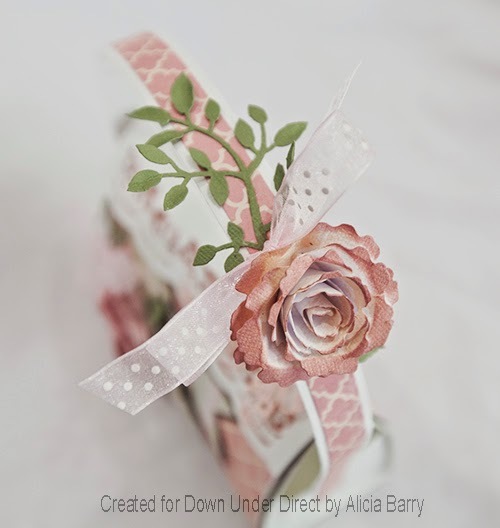 Go ahead and decorate with patterned paper and a Spellbinders Create-a-rose.